Important: You must have the planning folder's start and end dates defined to generate this chart. 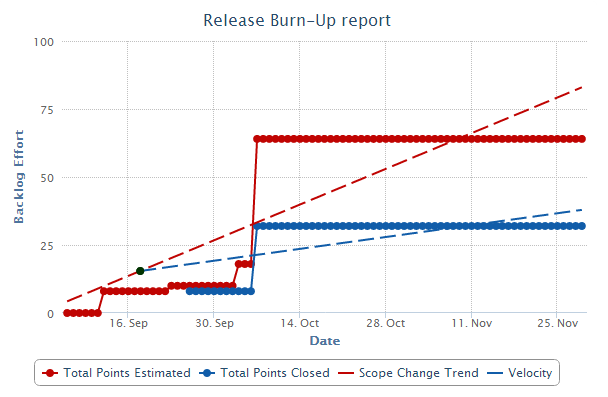 This chart includes a trend line to show the planned work scope change between a release's start and end dates (in other words, the start and end dates of the release's planning folder). 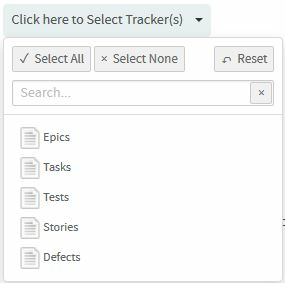 Optionally, you can also include a trend line in the chart that forecasts when planned work might be completed depending on the average rate of progress (velocity).